249.900€ Expenses and taxes not included. 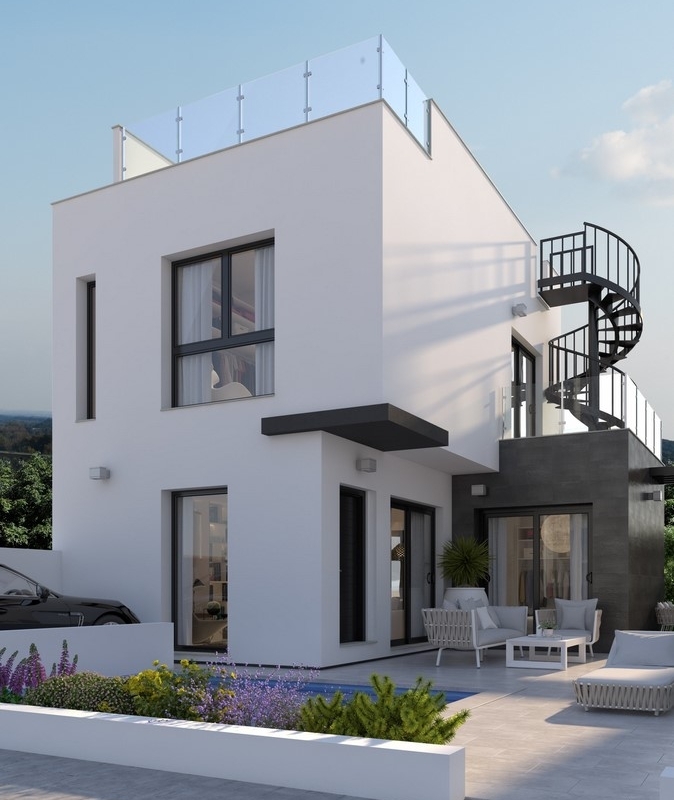 New villa in Orihuela Costa, a great area to live. The house consists of 3 bedrooms with fitted wardrobes and 3 bathrooms. It has a kitchen with furniture and appliances, a lounge-dining area, terraces and a roof terrace. In the garden areas there is a communal pool and parking space. Do not miss this opportunity !! !